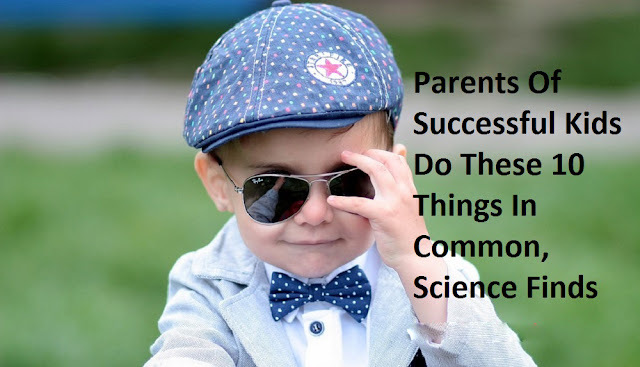 Every parent wants their kids to be successful. It is the purest wish a parent can have. Making this wish a reality is an entirely different matter. Research shows that when children are given chores at an early age it cultivates in them a sense of responsibility, self-reliance and mastery. At a Ted Talk event, Julie Lythcott-Haims, former Dean of Freshmen at Stanford University and author of “How to Raise an Adult” conveyed the idea that kids raised on chores go on to be collaborative coworkers, more empathetic– as they truly understand and have endured struggles. They also are able to work on tasks with minimal hand-holding. When using chores to build your child’s character, researchers caution that chores and allowance be kept separate. Studies show that external rewards can actually lower intrinsic motivation. Having realistically high expectations for kids is essential to successful parenting. More often than not, children rise to the expectations set for them. The trick is to set the bar high enough that your kids do have to stretch for it but keeping it in the realm of possible. For example, kids who have parents that expect them to go to college–usually do. Parents manage the child in a way that nurtures academic achievement while their kids work to maintain good grades so they can go to college. Establishing realistically high expectations points your children in the direction of success. Children have to be taught to manage anger, delay gratification and properly handle conflict in order to achieve success. A lack of healthy coping strategies can lead to health and well-being concerns in children. A parent’s job is to manage and minimize risk–not to eliminate it. Successful parenting involves understanding that failure is a big part of success. And while this may sound counter-intuitive, research shows that more is gleaned from failure than success. Hanging back and giving children room to fail is very difficult for most parents but is essential. Successful failures assist in developing your child’s character, resilience and overall competence. In today’s world, social intelligence is just as important as intellect. A study spanning 20 years and involving the tracking of 700 kids found that those that are socially competent were more likely to earn a college degree and have a full time job by the time they turned 25. Successful parenting ensures that kids learn to be cooperative in their peer-to-peer relationships, helpful and able to empathize with others intuitively and without prompting. The number of hours moms spend with kids between ages 3 and 11 does little to predict the child’s behavior, well-being, or achievement. It’s the quality of the time spent that counts. “Helicopter” or “Tiger” parenting is not the intended approach. Parents should work to keep the environment and interactions engaging and stimulating but not stressful. Encouraging kids to stick with things that are difficult or unpleasant sets them up for success later in life. Mental toughness and a “can do” attitude are critical for children to have firmly in place well before reaching adulthood. A child without a “fighting spirit” is unlikely to develop this trait later in life and commitment and the ability to handle sustained effort long term will always be an issue. This is done by establishing balance as a parent. Over-parenting hinders a child’s development of independence and permissive parenting robs kids of integrity, direction and the ability to focus and commit. Children need to be able to identify their own strengths, weakness, preferences and dislikes. Most people parent with the mindset of dealing with the current situation and getting it under control as soon as possible; seeking the quickest solution. Successful parenting keeps in mind how we want our child to be as an adult, we should strive to be more thoughtful in the way we parent. Try to pause and capitalize on some of those small teachable moments that present themselves daily remembering that the best way to teach certain behaviors is by modeling them. Consequences for unwanted behavior should be clearly stated and should be suited to the unwanted behavior or the punishment should fit the crime. Harsh punishments are unnecessary especially coupled with the other techniques mentioned previously. Even though the child has misbehaved keep the tone of the communication firm yet friendly and open. Successful children turn into successful adults and neither happens by accident. Successful parenting is deliberate and intentional.